Have you been dreaming about spending your summer afternoons relaxing by the pool at your Springfield, Pennsylvania, home? Cabanas offer the ideal spot to lay out and dry off while remaining protected from the sun’s damaging ultraviolet rays. But, while cabanas are perfect for relaxation on warm, sunny days, you’ll want to make sure you choose a model that’s also strong enough to withstand nasty weather throughout the rest of the year. Our cabanas include a number of features designed to help them stand up to whatever is thrown at them. 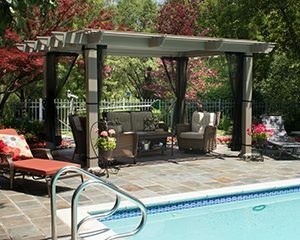 Like all of the outdoor living products we install, our cabanas are constructed using heavy-duty, fully extruded aluminum. This impressive material offers more strength than wood, vinyl, and roll-formed aluminum alternatives, allowing it to withstand harsh weather. 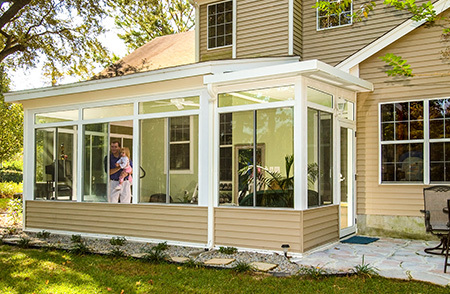 Plus, because it resists rotting, deterioration, and insect infestation, you can feel confident that your new cabana will last for years to come. Plus, you can rest easy knowing that our cabanas are protected by our manufacturer’s limited lifetime transferable warranty. If you ever decide to sell your Springfield, PA, home, this will be an invaluable selling point, as you’ll be able to transfer the warranty to the next owner. To learn more about the impressive features included with our cabanas, please contact SRA Home Products today. Since being founded in 1988, we’ve completed more than 5,500 projects. As a second-generation family-owned and -operated company, we’ve never lost our dedication to outstanding customer service, a quality that has helped us earn an A+ rating from the Better Business Bureau. 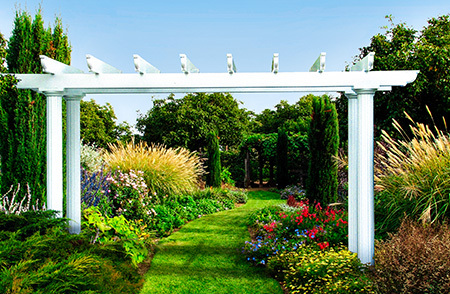 We look forward to helping you with your next outdoor renovation project.